Podge’s sunflowers just keep getting taller and taller. At this point, she’s expecting to be able to climb them all the way up to the clouds by September! I should probably clarify, these sunflowers are only tall by Podge’s standards. At just 1.75 inches wide, they look tiny to us humans. 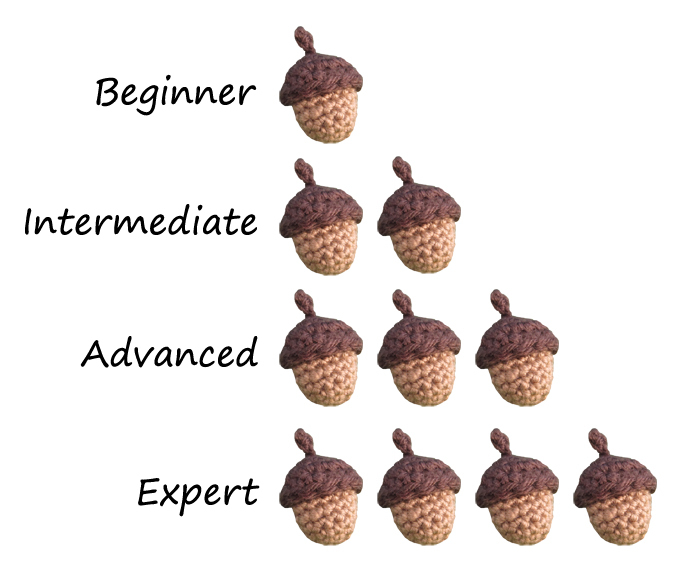 If you are new to miniature crochet, this pattern would be a great one to try. It calls for fine-weight yarn and a B-1 (2.25 mm) crochet hook, which are large in the world of miniature crochet. However, if you find you are having trouble getting your fingers to work with these materials, try the pattern again with a heavier yarn and larger hook (worsted-weight and a G or H hook should do) until you are comfortable moving down to the smaller sizes. 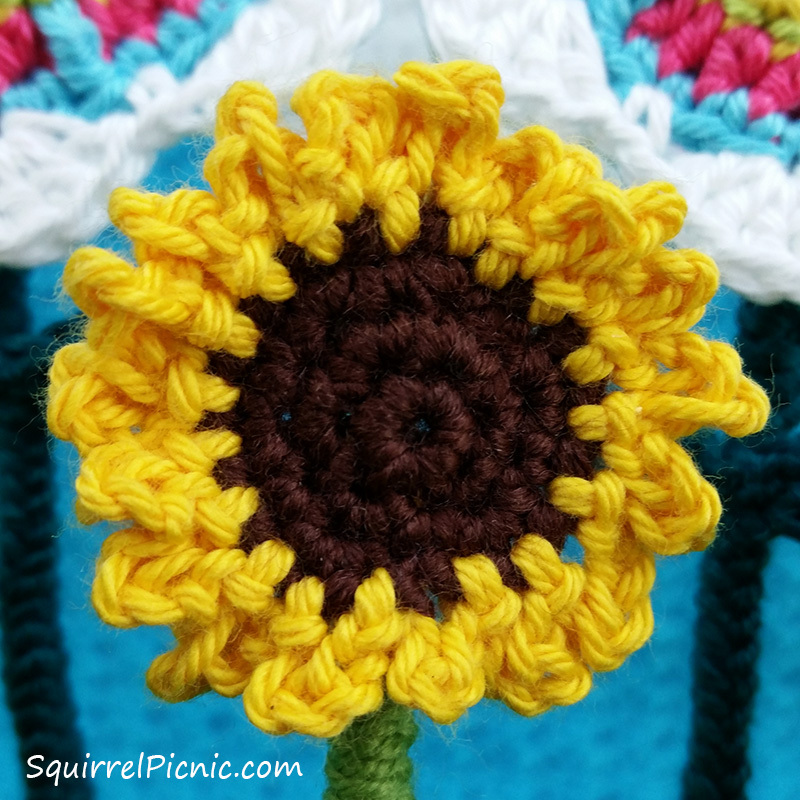 Celebrate the dog days of summer by crocheting some sunflowers of your own. They would make great appliques for small items like phone cases, coin purses, and barrettes. With brown, make a magic loop. Rnd 3: * Sc in next sc, 2 sc in next sc, rep from * 5 more times. Join with slst to 1st sc. (18) FO. Rnd 4: Join yellow with a slst in any sc of Rnd 3. * Ch 5, slst in next sc, rep from * 17 more times. (18 petals) FO and weave in all ends. Categories: Free Crochet Patterns | Tags: amigurumi, crochet, flower, miniature crochet, sunflower | Permalink.